NIGERIA IS NOT PROGRAMMED TO BE A FREE COUNTRY WHERE CITIZENS WILL DICTATE WHAT THEY WANT. 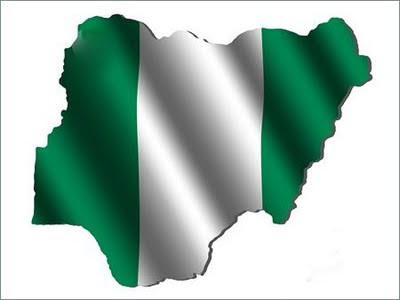 Power intoxication is the major problem with this country called Nigeria, no one can lead without first acquiring power, the Hausa-Fulani's is an example of what am trying to say in this failed country called Nigeria. We all can see what is happening with President Muhammadu Buhari whose from the Northern Region, in the North they use power for selfish ends, they are ruthless, manipulative, devious, and out to exploit other regions who they deem weak. The Northern politicians feel the national cake is mainly for them alone but you can't forcefully take the peoples resources without carrying them along, even tagging freedom fighters 'Niger Delta Avengers' as thief's, is a laughable a statement, it would be recalled on 4th of July 2015, the federal government of Nigeria has said, it is open to negotiations with Boko-Haram terrorist sect in other to find a lasting solution to the insecurity that has lingered in the failed country, thus was disclosed by the special adviser to the president Muhammadu Buhari on media and publicity, Femi Adesina on Friday, in an interview with BBC, where in the world do you negotiate with terrorist sect, who have claimed thousands of innocent lives? But the Nigerian government with their media filled lies and always quick to spread false news about those they refer as sponsors of NDA, The Nigerian government and their leaders always use the word that the country is indivisible, but why is that? Are they the mouth piece of the people? I could recalled earlier when the British people took the historic decision to pull out of the (EU) European Union, Biafrans are doing all they could to separate from this illegality called Nigeria, but the Nigeria government are less happy about it, because with the referendum we would actually know the peoples reaction if they truly want to stay in an indivisible country like the way the Nigeria government calls it, but the system pattern in Nigeria will never permit such liberalism because they know the final result and they are uncivilized to practice the universal rights of freedom of expression that's been backed by United Nation(UN), Biafra's more civilized and advanced than the Hausa Fulani's, that was the reason they adopted civilization immediately and practice it, Niger Delta Avengers are freedom fighters and with no sponsors but all they do is for the liberation of their people, the people dont matter in Nigeria. What Buhari does is the dictatorship of the oppressive class, which insists on enslaving the people, when you have a vindictive President who is a Mafia in killing innocent Biafrans just because they asked for their freedom and their rights to self-determination. Killing Biafrans won't stop the agitation of Biafra. It's either Biafra or Death.